By Simon Dumenco . Published on June 12, 2018. 1. Wait, so what just happened? U.S. District Judge Richard Leon ruled this afternoon that an AT&T-Time Warner deal can proceed. Essential background: In October 2016 A&T announced that it had agreed to buy Time Warner for $85 billion. But then Trump got elected. Trump made it clear, even before his presidency began, that he's no fan of CNN, which Time Warner owns—and so various industry observers speculated that the Trump Administration would try to make trouble for the AT&T-Time Warner deal. That speculation proved spot-on, because last November the Trump Justice Department sued to block the deal. Fast-forward to today and Judge Leon's ruling, which is a major blow to the Justice Department. 2. Was that the anticipated outcome? Actually, nobody was quite sure what to expect. As Bloomberg's David McLaughlin noted earlier today, "Leon, who has been on the bench since 2002, has a reputation for courtroom drama and for being unpredictable." 3. So the judge didn't buy the Trump Administration's antitrust argument? Apparently. We'll have to wait for the full written text of the ruling to be released to get all the details, but to put this legal battle in context, as The Washington Post's Brian Fung wrote as it began, "The move by the Justice Department's antitrust division is unusual because it challenges a deal that would combine two different kinds of companies—a telecom with a media and entertainment company. Antitrust officials are relatively untested in the courts on opposing such deals and have rarely tried to squash them." ... DOJ lawsuit is a radical and inexplicable departure from decades of antitrust precedent. Vertical mergers like this one are routinely approved because they benefit consumers without removing any competitor from the market. We see no legitimate reason for our merger to be treated differently. 4. The illegitimate reason was, presumably, President Trump playing politics and attempting to punish CNN by proxy? The White House, of course, denies that politics played a part—and yet Trump lawyer-saboteur Rudy Giuliani basically admitted as much, if only briefly. See "Giuliani Said Trump Killed AT&T Time Warner Merger, But the White House Says He's Wrong," per Fortune last month. 5. So what happens next? Is the DOJ expected to appeal? Short-term: "While a stinging loss, the Justice Department could still stop this merger," per the New York Post's Josh Kosman. "It is expected to appeal and ask for a stay—a delay that could stop the deal from closing for four to six months while an appellate court ponders a decision, legal experts said. And that could be enough to rock the deal off its foundation, sources said, as the AT&T merger agreement expires on June 21 and Time Warner could ask for more money—or seek a different suitor." Unless the DOJ somehow wins a stay, which appears unlikely, AT&T's acquisition of Time Warner will take effect next week. Likely Monday. CNN will be owned by a wireless giant. 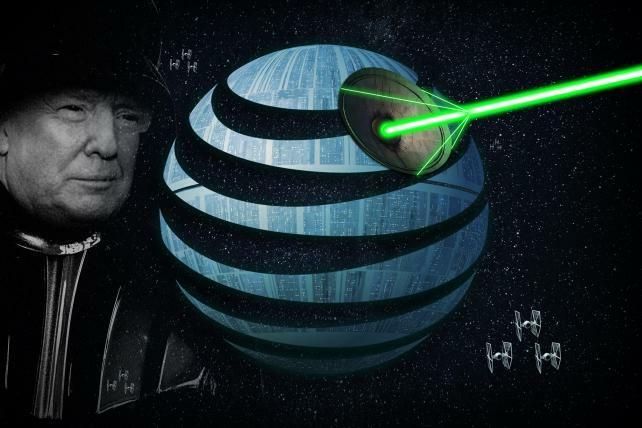 A merged AT&T-Time Warner would be the nation's second-largest advertiser, according to spending estimates from Ad Age's upcoming 200 Leading National Advertisers report. Source: Ad Age Datacenter (200 Leading National Advertisers 2018. June 25, 2018). Numbers rounded. 6. What does this mean for the M&A market in general? As Celia Kang writes in The New York Times account of the ruling this afternoon, Judge Leon's decision "is expected to unleash a wave of takeovers in corporate America." 7. Is Trump freaking out about this? Almost certainly. Stay tuned for a tweetstorm, probably.